We are still in Williams Rd, Paihia. Now next door in the old N.Z. Post building. Come & see us - the same friendly team in the newly re-decorated Pharmacy. 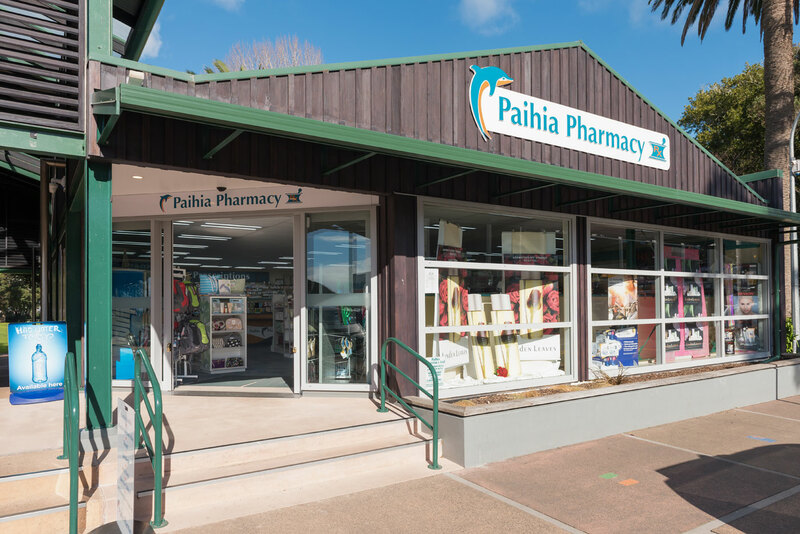 Paihia Pharmacy is a Community Pharmacy providing pharmaceutical services and advice to the Paihia, Opua and Haruru Falls districts. We also provide pharmaceutical services to the Bay of Islands areas and to visitors to our area from New Zealand and overseas. Owned and operated by Murray & Jillian Jenkin. All our staff offer professional service and advice with many years experience in all aspects of Pharmacy. Paihia Pharmacy is located in Williams Rd, Paihia opposite the Paihia wharf and Maritime Centre. AFTER HOURS MEDICAL SERVICES: If it is an emergency dial 111. For all other after hour services call Bay of Islands After Hours GP practice at the Bay of Islands Hospital, 09 4040328.